Check out these devotional books for girls, packed with fun, Bible-based stories and activities that equip girls to grow closer to God and discover promises for their lives. 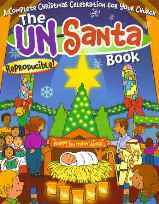 While you’re at it, use these family holiday activity books to help your family celebrate Easter and Christmas in especially meaningful ways. 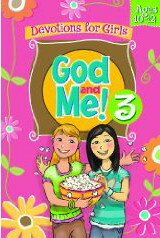 One of the newest additions to the publisher’s best-selling series for girls, God and Me! 3 is filled with devotionals based on The Lord’s Prayer. The book is packed with fun, Bible-based stories and activities that equip girls to grow closer to God and discover His promises for their lives. Help girls grow closer to God and have fun at the same time! 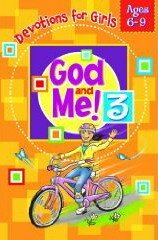 One of the newest additions to the publisher’s best-selling series for pre-teeen girls, God and Me! 3 is filled with devotionals based on The Ten Commandments. 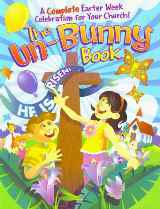 The book is packed with fun, Bible-based stories and activities that equip girls to grow closer to God and discover His promises for their lives. Help preteens grow closer to God and have fun at the same time! Hey, Girlfriend! Learning about friendship doesn’t happen all at once. It’s a process. teach you how to be a terrific friend! 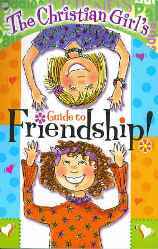 Read reviews of The Christian Girl's Guide to Friendship here. Share meaningful Christmas activities in an outreach event at your church, with your home school group, with friends and neighbors, and in your home! Each activity is Bible-based and points to the true message of Easter — Jesus is alive!